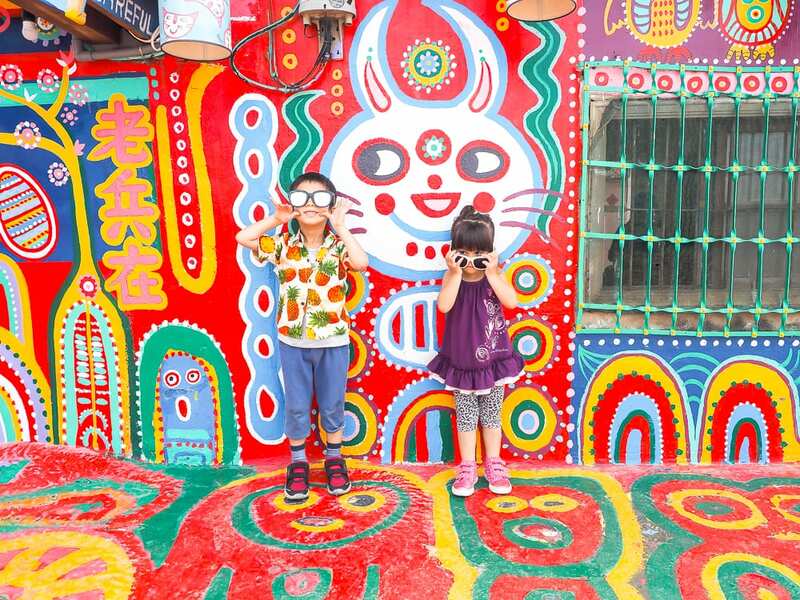 Rainbow Village Taichung (彩虹眷村) easily tops the list of most “Instagrammable” places in Taichung, and it is quickly becoming one of the hottest new things to do on a visit to Taiwan. 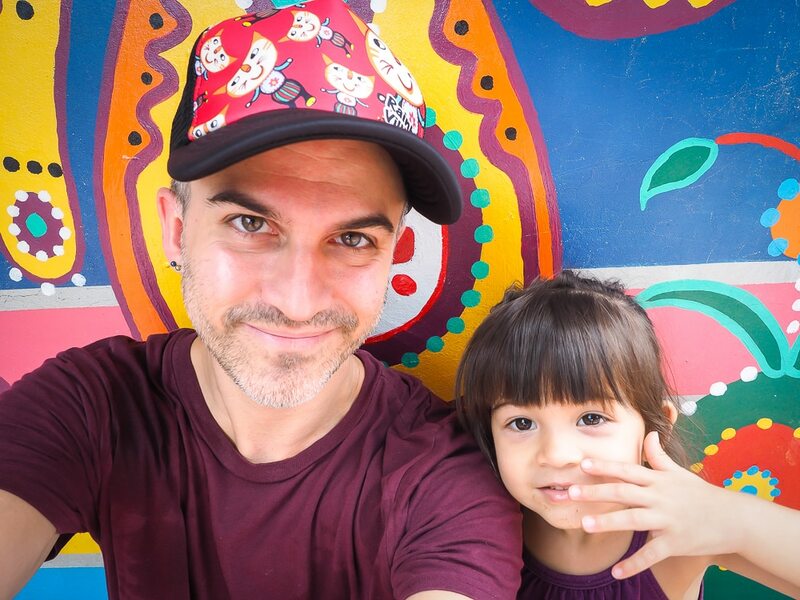 While the colorful walls of this small collection of dilapidated houses are indeed a veritable paradise for selfies seekers, Taiwan’s Rainbow Village actually has a rather interesting history behind it. 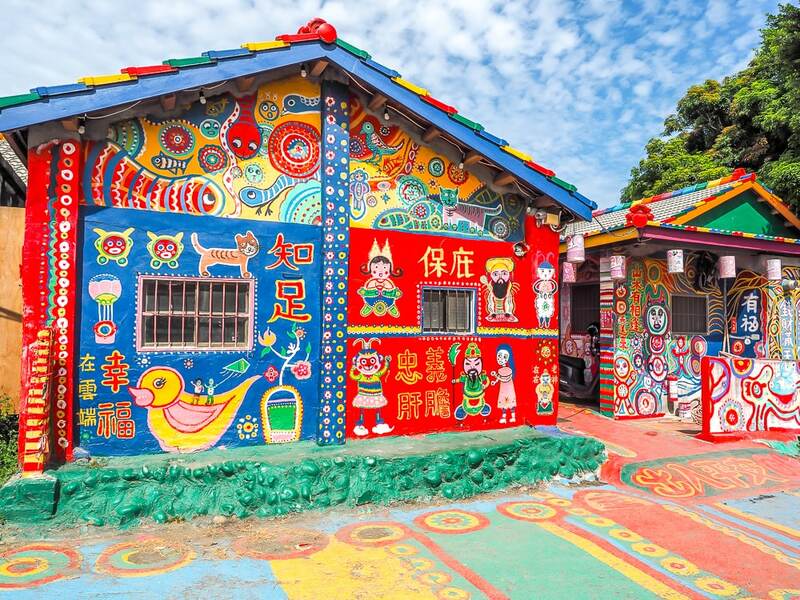 Rainbow village is located in Nantun district (南屯區) west of the Taichung city center, an area that was a part of Taichung City before it was amalgamated with Taichung County. It’s a little out of the way, and there isn’t much else to see in the area, but it’s still easy enough to get to by taxi, renting a scooter on Klook, or taking public transportation, as I’ll further explain at the end of the article. 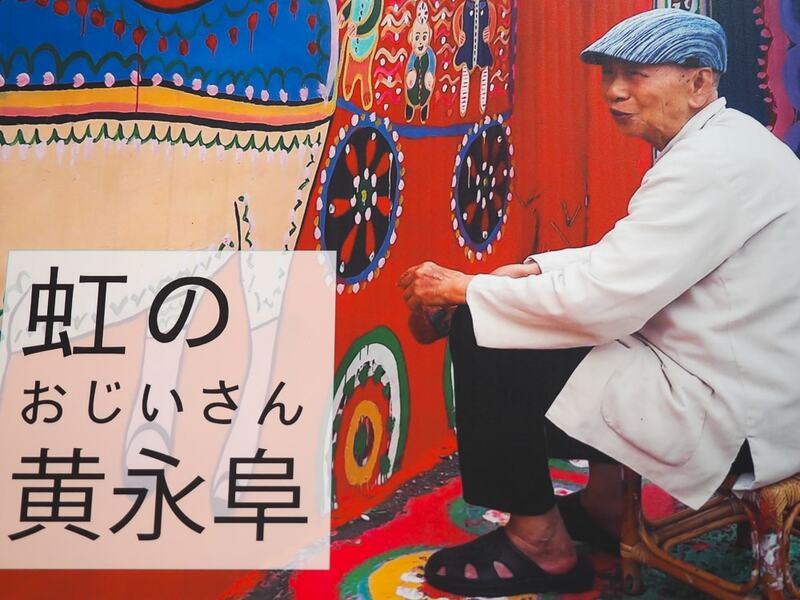 Use this link to sign up for Klook and get NT100 off your first travel activity in Taiwan! 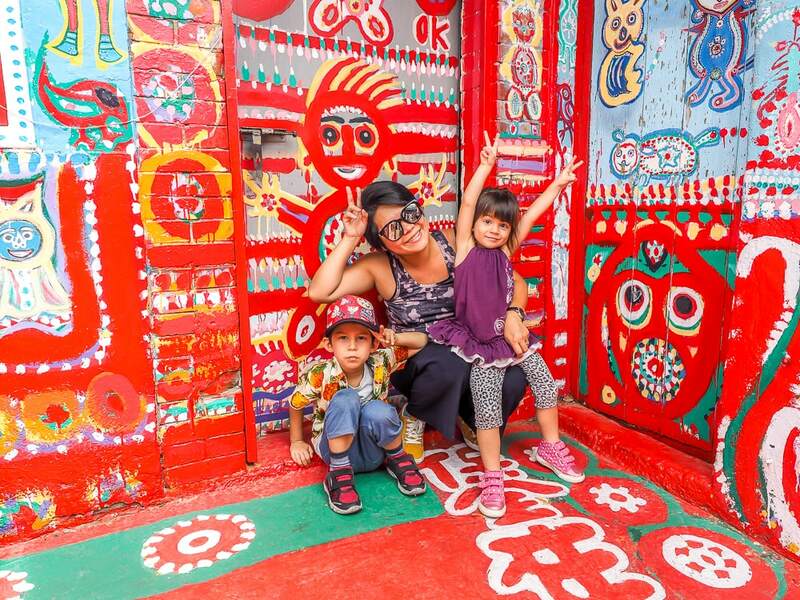 My wife and kids doing mandatory “victory signs” at Rainbow Village. 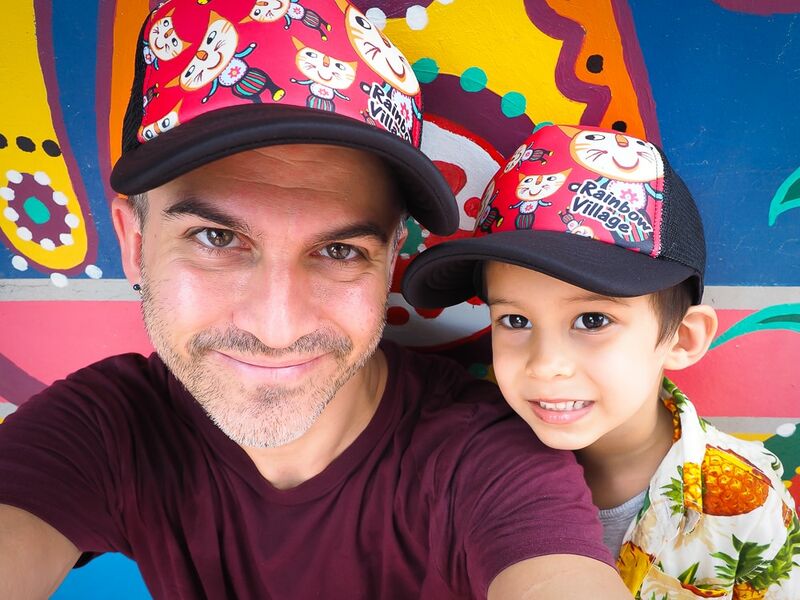 See my full article on traveling around Taiwan with kids. 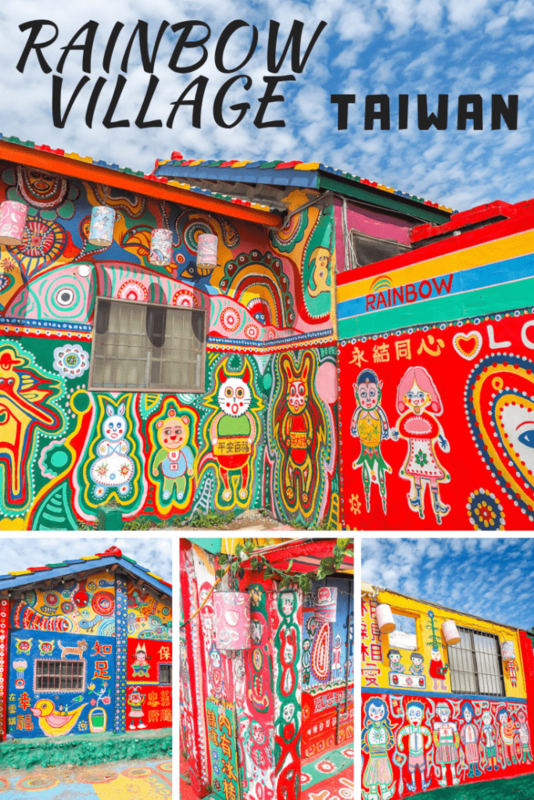 Practically unknown until just a few years ago, Rainbow Village is quickly becoming one of the trendiest and most popular things to do in Taichung, with over a million visitors per year, so do add it to your list if you are spending time in the city, and we found it to be a perfect stop when traveling from Taipei to Sun Moon Lake! 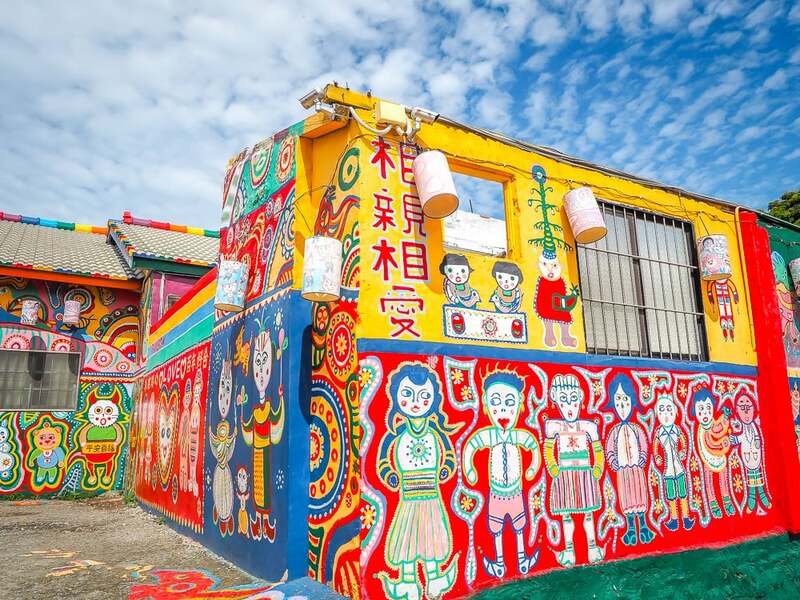 Rainbow Village is also included on this half-day or full-day Taichung tour, or you could include it on a fully customized tour of Taichung with an English, Spanish, or French speaking local person showing you around, or a private tour with a driver to show you around. After Chiang Kai-Shek’s Kuomintang nationalist army lost the Chinese Civil War in 1949, he and some 2 million Chinese, many of them soldiers, fled to Taiwan. Many of these solider were placed in hastily constructed military dependents’ villages in cities throughout Taiwan. These villages remained government property, and as time passed many fell into decay or were abandoned. In the 1990s, the government began aggressively demolishing them. Huang Yong-Fu was born in Taishan County, Guangdong Province, China in 1924. During the war, he was conscripted to fight against the Japanese, and ended up poor in Hong Kong. 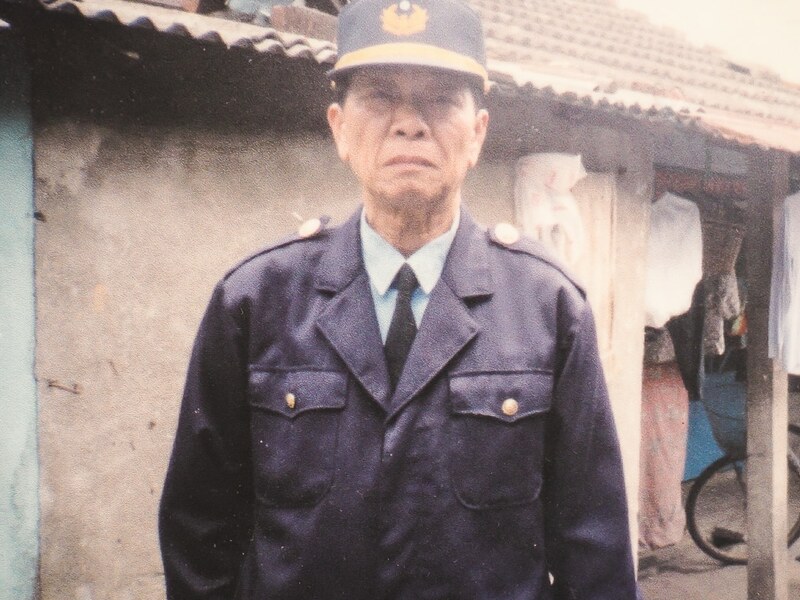 He later rejoined the army in Hainan, and fled with the KMT to Taiwan. He went off to fight again during the Second Taiwan Strait Crisis, and was finally discharged at the age of 55. After that, he bought his current house, in a village of 1200 homes that had been built by nine retired soldiers on land owned by the Ministry of National Defense. 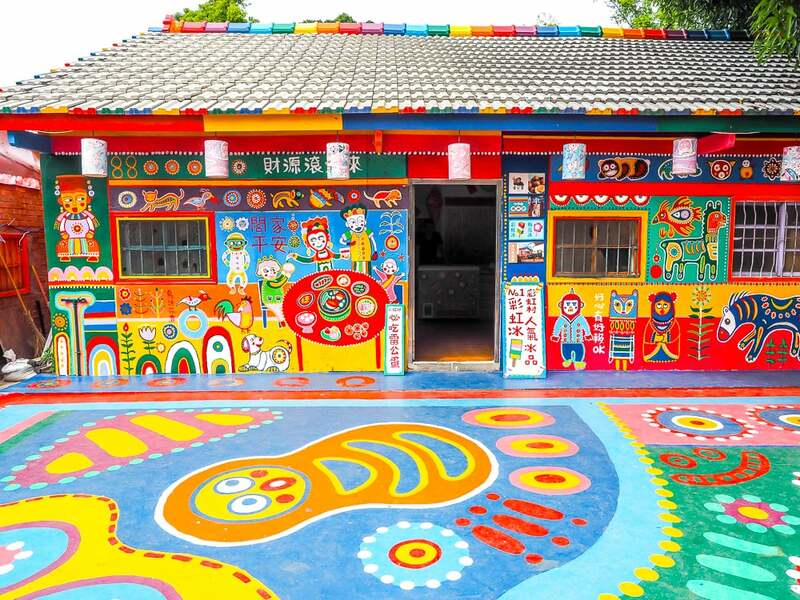 In 2010, upon hearing that the government planned to demolish the village, Huang began painting the walls of his home and surrounding buildings in an attempt to have them preserved. At that point, he was one of the only people still inhabiting the village. 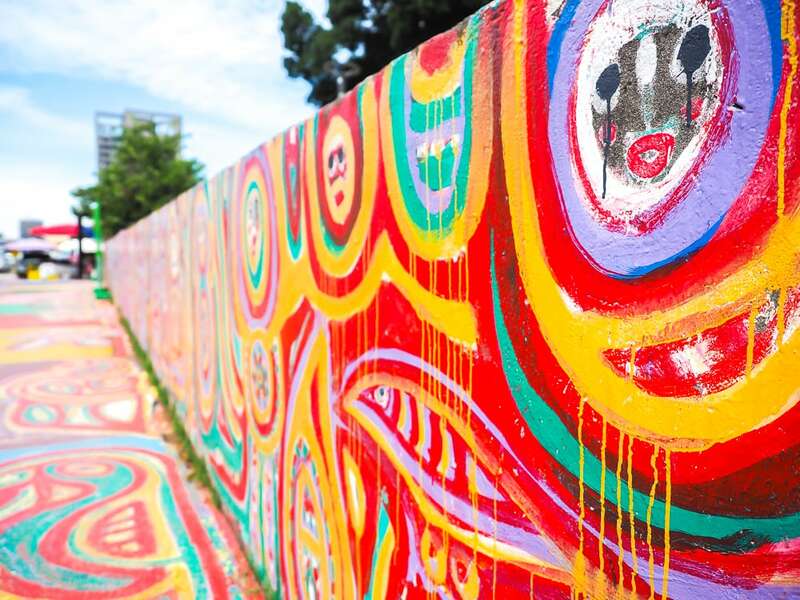 Later, students from the nearby Ling Tung and Hung Kuang universities discovered his artwork, and successfully petitioned the Taichung mayor to preserve the home. 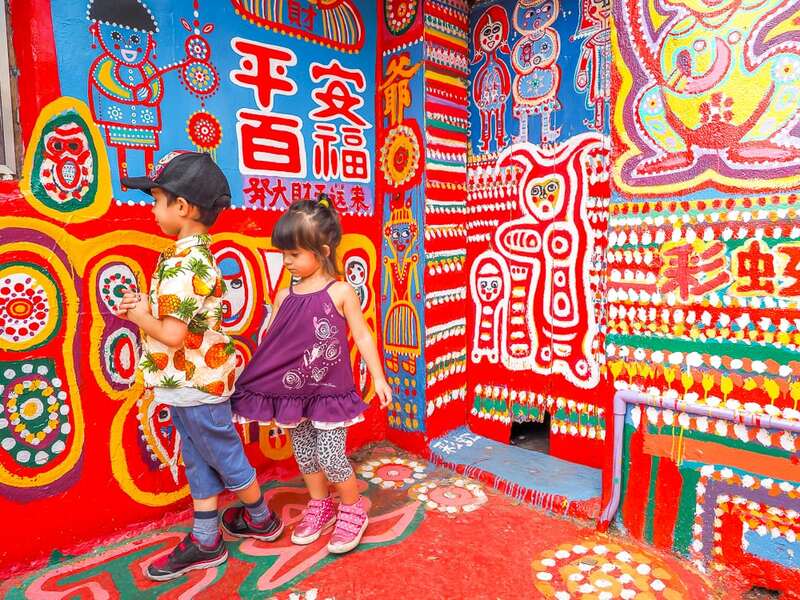 The village soon acquired local fame, and is quickly becoming one of Taiwan’s hottest new attractions. 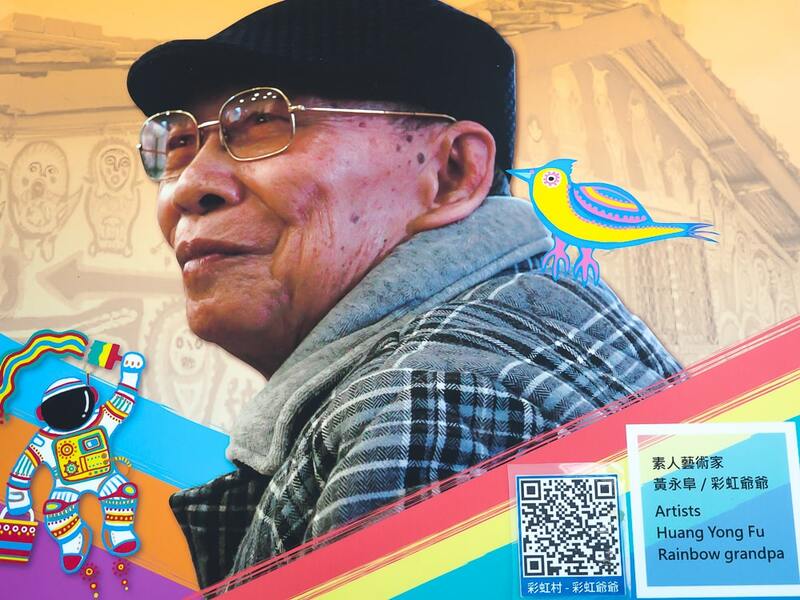 Huang, now 94 and going by the nickname Rainbow Grandpa (彩虹爺爺), still lives on site, and supposedly wakes up every morning at 4 am to work on maintaining his artwork. Visitors often meet him and he always gives the victory sign when posing for photos, but we weren’t lucky enough to see him when we visited. Huang’s artwork has been called a kind of surrealism, with elements of humor, childishness, and love. He is also obviously an animal lover. 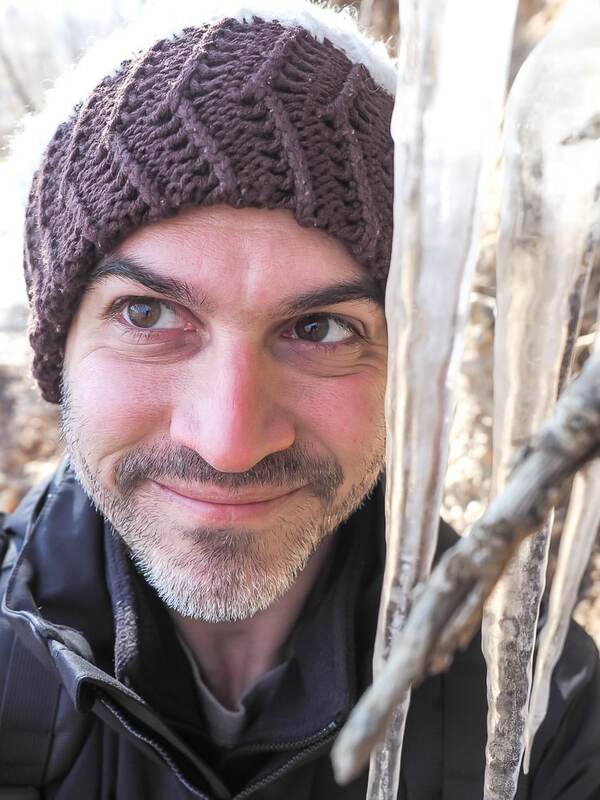 He has even been called the Hayao Miyazaki of Taiwan. 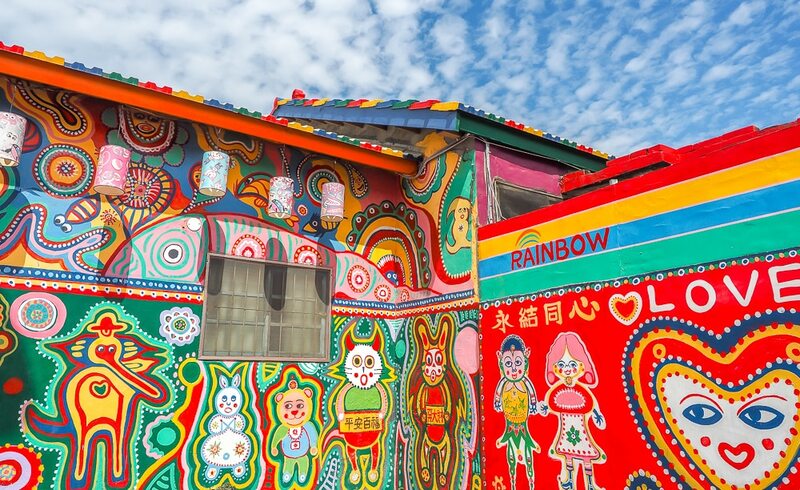 Rainbow “village” is no more than a few homes, with about half a dozen small interconnected buildings. 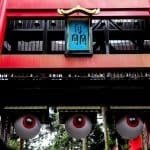 You could easily see the whole thing in 10-15 minutes, but with photos and having a snack or drink, you’ll probably spend an hour there. 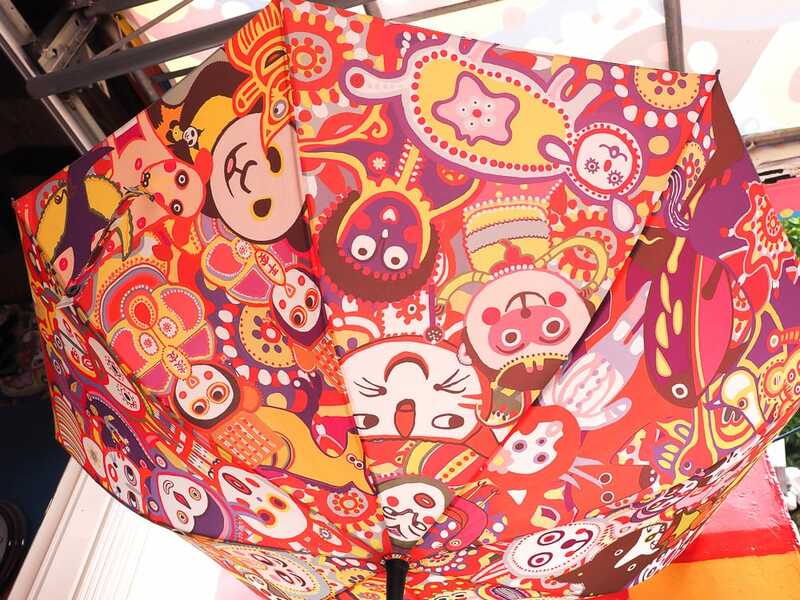 There are also two souvenir shops where you can buy hats, fans, umbrellas and more with Huang’s artwork. The shops are reportedly run by Huang’s grandson. While the village is free to visit, they supposedly accept donations. I didn’t see anywhere to do this, so we made a point of buying a few things. Sage and I got matching hats! And I can’t leave out Lavender here! 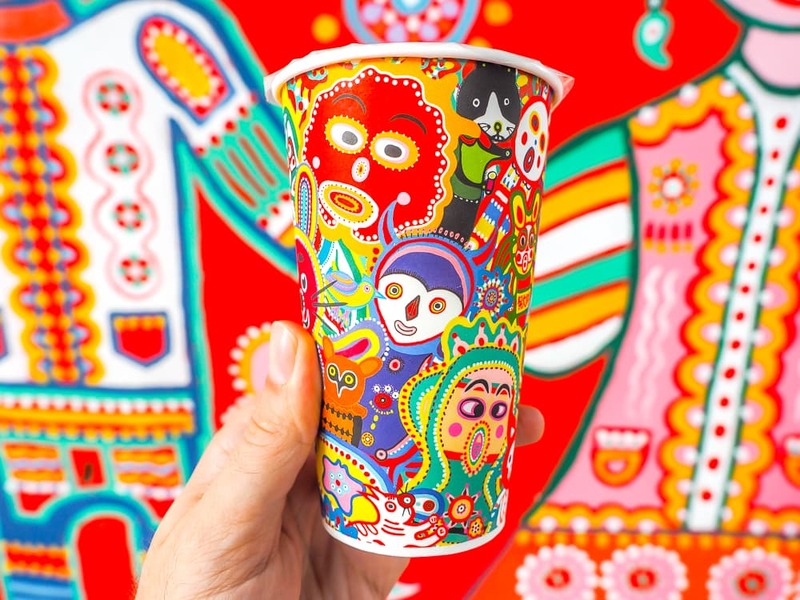 There’s no specific opening and closing time, but since Huang wakes so early, I’m sure you could show up anytime in the daylight hours, but you wouldn’t be able to appreciate the artwork after dark. 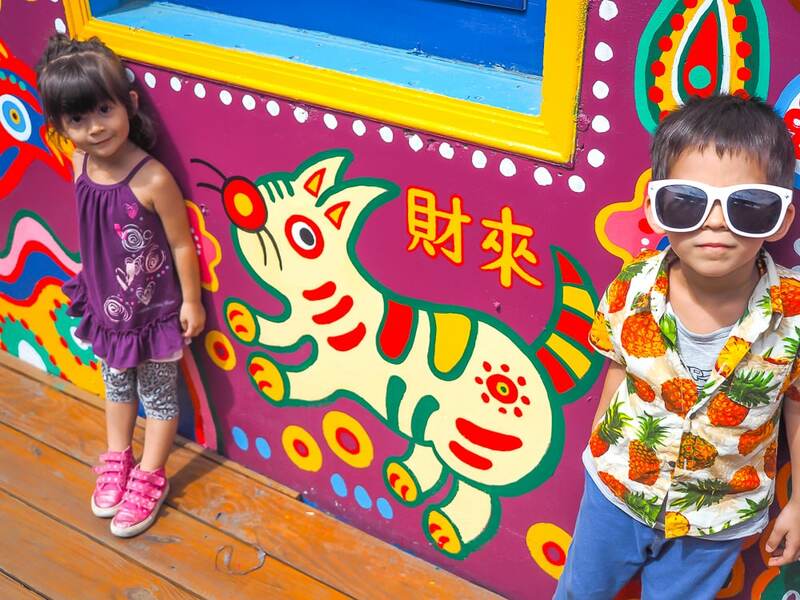 Due to the Rainbow Village’s growing popularity, weekends can be fairly crowded, but even when we visited on a Saturday afternoon, it wasn’t too bad, and fortunately this attraction hasn’t quite reached tour bus-level fame (yet). 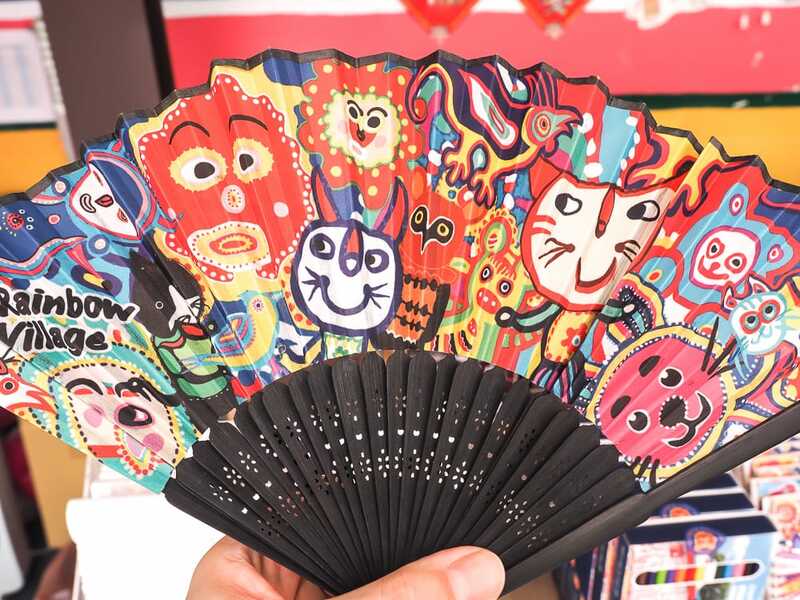 If you are really interested in the arts, then you can consider also making a visit to nearby Donghai (Tung Hai) Arts Shopping District (東海藝術街商圈), an art-focused street near Tung Hai University. 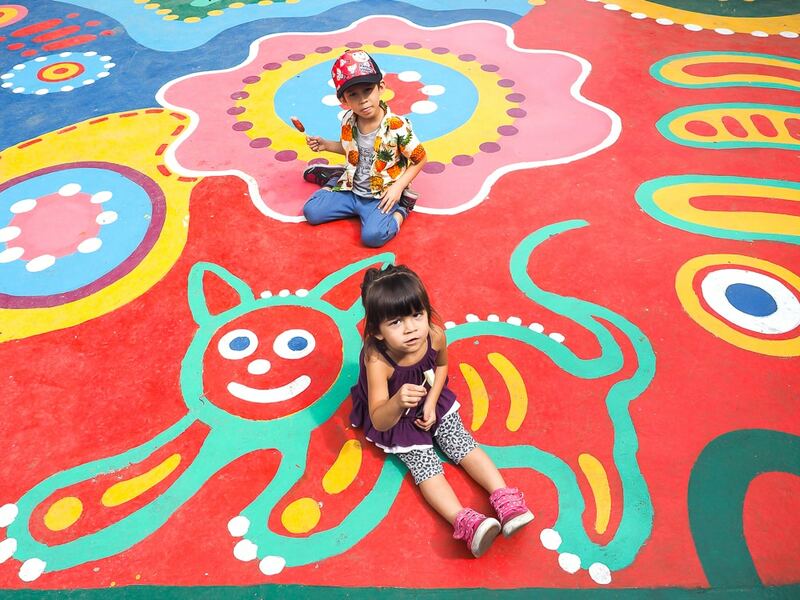 From the Taichung High Speed Rail Station, you can reach Rainbow Village by taxi for NT150-200. Coming from Taipei, you can get a discounted HSR ticket to Taichung on Klook. You can also take bus #617 from the station. From the Taichung city center, you can expect to pay NT250-300 for a taxi. From Taichung Main Train Station, cross the street and take bus #27. Get off at Gancheng Village 6 stop (千城六村站), one stop after Lin Tung University (嶺東科技大學). It takes about an hour, and it’s about a 10-minute walk from the bus stop. You can also take bus #56 from Gancheng (干城) or Xinwuri (新烏日) train stations, and it stops right in front of Rainbow Village. 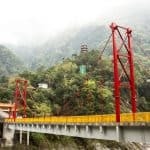 If you are continuing on to Sun Moon Lake, it would be most efficient to head to the Taichung High Speed Rail Station after Rainbow Village to catch the Sun Moon Lake Shuttle bus. You can save money on this journey by getting the Sun Moon Lake Pass. 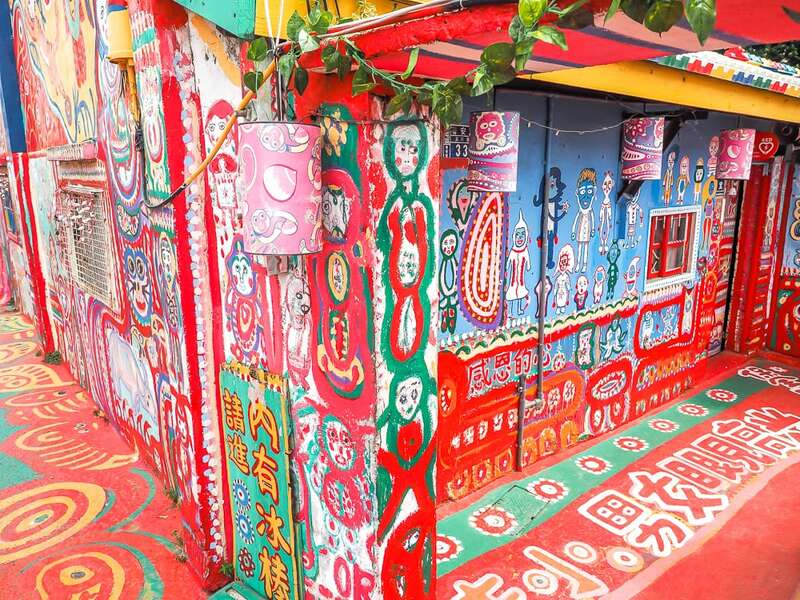 Visiting by car from Taipei, we found it very convenient to make a stop at Rainbow Village on the way to Sun Moon Lake, since it is just off Highway 1. 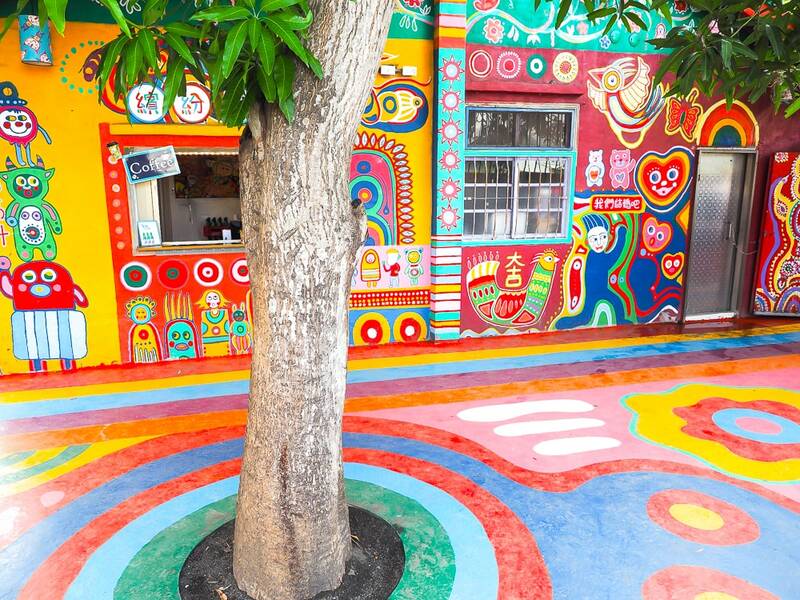 You can also rent a scooter or charter a private car for visiting Rainbow Village and other sights in central Taiwan.